Props to Super Velcroboy, whose blog was quite useful and inspired my idea of a rehouse! doctorums wrote: i tried searching but couldn't find what i was looking for. could someone help me rehouse my french toast step by step. apologies for total and utter n00bness, i've only got one build under my belt and it was from a kit. schematics are like greek to me, maybe someone has a pictorial or layout or something. thanks in advance. Looking for some help on doing the rehouse. Any step by step directions or tutorials for rehousing a French Toast? I just picked up a French Toast and am looking to rehouse it as well. I have searched through all the posts about doing it, but have not found anything conclusive. I've seen everyone being directed to SuperVelcroBoy's site, but it appears to no longer have the information for this and redirects to his Flicker page which only has pictures. I've looked at some of the more thorough guides for other Dano pedals and think they could help to some extent, but it would be great to have one specifically for the French Toast. 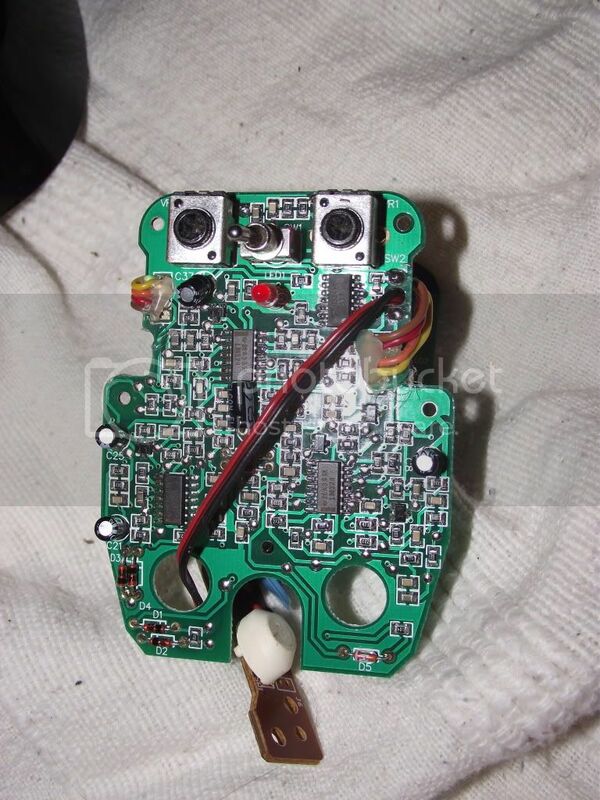 I also plan on swapping out some of the components to match the Foxx Tone Machine clone from http://fuzzcentral.ssguitar.com/foxx.php . That crazy cat pedal is hilarious! teddy: Could you post an inside shot of your pedal - so cool. Are the two cascaded into each other, and if so, in what order? OK - I found them over on the Orange Forum. Thanks. Very nice looking job. 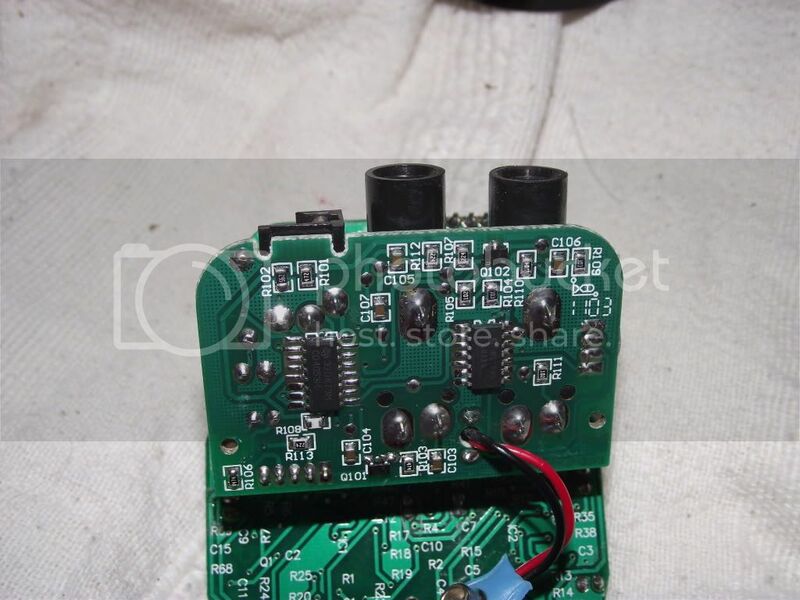 How did you manage to fit the main pcb in a 1590B enclosure ? Did you file the sides ? Cow4prez wrote: Well almost, you still have to apply the power filter and some minor stuff. Just use the schematic and you'll be dandy. Did you made this work? do you need the "power" board? i got the french toast working on my breadboard using the colours thing on page one. I didn't do the "power thing" around the power suply, do i really need it? i did only use a battery. Why are there 2 R's on the 3dpt?! looks good! can you post some inside pics? sp3k wrote: looks good! can you post some inside pics? So, i've connected the in, out, 9v, and grd to a breadboard. But i'm having some kind of ground problem. 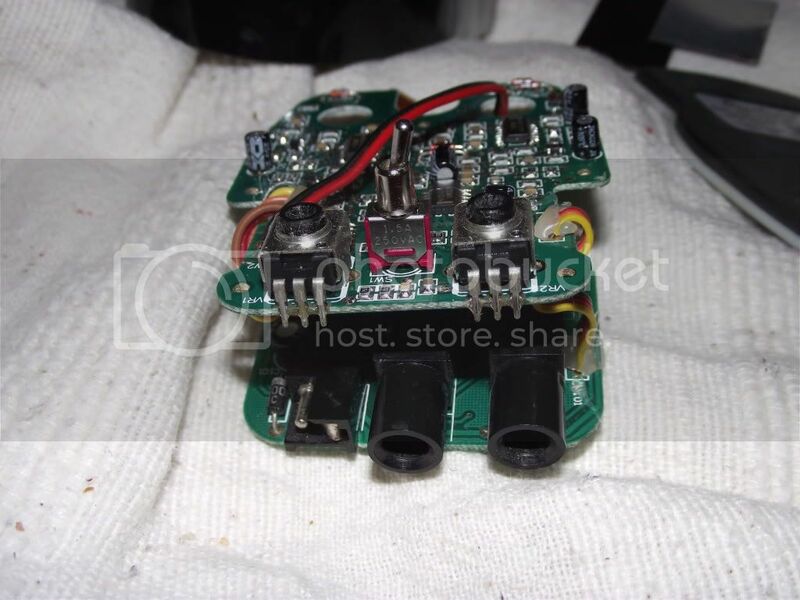 When i connect the thing to my amp and guitar, i get a lot of ground noise (that's what i think it is), if i connect it to my ipod and play with amplitube i get no noise, except when i touch the metal back of the ipod e get some crazy sounds!!! Anyone has any idea what's going one? do you think that when i connect everything in a box with switches and pots and all that stuff, the ground problem will be gone? have you connected all the grounds properly? I get it all apart from the dc powerage schem, does anyone have a photo or diagram of one they have done? i'm crap at reading schems and i do know i need to learn! ** also confused because the above 'how to' for a french toast doesnt mention adding anything extra for the dc..
i've read through loads and loads and havent really seen what i'm looking for, also people seem to have done dano rehouses using different methods so it's all a bit confusing! oh the 2nd thing i was going to ask was... instead of desoldering the pots (all of the poles have broken off of both of the pedals!!) 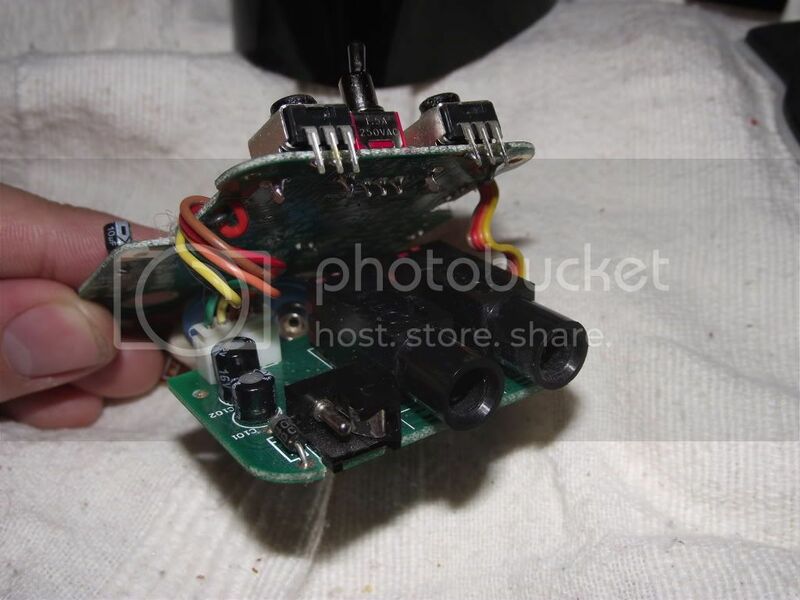 would it be ok to cut the legs where they connect to the pot body and solder the wires to connect to external pots on to those legs? Basicly trying to avoid desoldering as much as i can because i dont want to fry the boards, i dont have a desolder pump! any advice would be great, i'll do some photos as i go along if someone can steer me in the right direction as it seems like a lot of people are still a bit confused about rehousing the smaller pedals. some gut shots of the beyond metal for funsies and because the 2nd board seems to have a lot more stuff on it than the french toast... will any of it be necessary? Looking to have this guy rehoused. I contacted a few places, but they say that they have an agreement with Visual Sounds to not rehoused their pedals. Any idea who doesn't have this agreement and would do this?